Quadriporticusof the theatres,Pompeii. Encircledbylaurel wreaths for victory,the medallion in the centrebears the head of legendary Gordon,Medusa whose look is said to have turned men into stone.With a 14 inch diametes and an approximate weight of 10 lb. Bought from a II World War veteran in 1980. 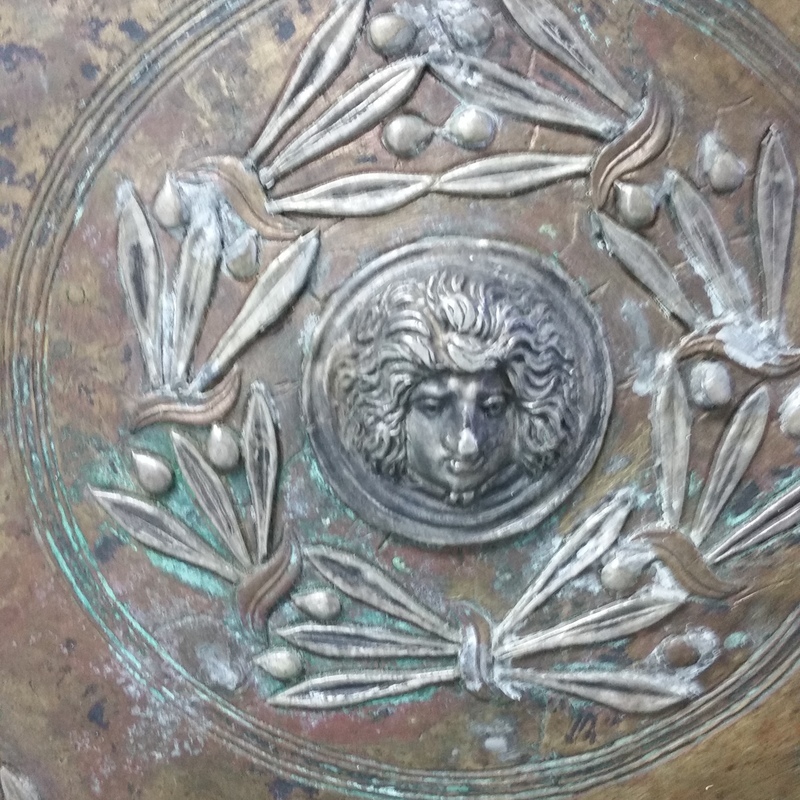 This is an antique 19th century Continental bronze and mixed metal reproduction of a 1st Century CE gladiator, or hoplomachus, shield that was found during excavation at the Quadriporticus of the Theatres in Pompeii It features the head of Medusa and laurel leaves It is recommended to check the whole piece, especially around the rim edges for any foundry marks, stamps or signatures. The estimate is based on actual recent past recorded auction sales of comparables. Retail 'asking prices' can be higher and vary.